I'm using a spiro for months now. Not a single technical problem. I've even accidentally fell it in the concrete once in my workplace and got only a scratch. still performed well. you need to purchased a memory card separately. just read the manual. What ever u want to do on this mobile, this shows only one message "OUT OF MEMORY". Also the keys will not work properly after 2 or 3 months u buy the mobile. People already bought and cant do anything just use it for music, and maintain a nokia piece for other options. This is not only my opinion. All the victims of spiro. Its a damn worst mobile, I ever experienced. Better by a Nokia xpress radio. Very Poor battery, camara, No value for money>>> Do not BUY IT..
AnonD-8686, 20 Jul 2011hey buddy if ur facing 'out f memory' problems, then i have a solution 4 ya. at first i also f... morenice phone. 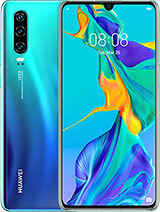 just read the MANUAL so that you wont have problems with the phone.. nice phone..
this is worst cell ever i had meke mistke bt no one can do this mistake its only waste of money only 1 quality in this cell camera clerity and nothing else in this cell leave problems. "out of memory " tsk, tsk, i wasted my money for this trash. Please don't buy this one. It will just give you a bad day everyday. There's a lot of cheaper phones better than this one. want to waste your money buy it! -always shows "out of memory" when we try to create a message or read a new message,so to read,i would have to got to the inbox everytime and open the message from there, and if u wanna create a message, we would have to restart the phone, which takes abr 20-25 mins to start up (shows "please wait")!!!! -this phone has a concept of "conversation" in the messages, iritating and redundant thing, dunno why such things are needed, in a phone with only 5 mb internal memory. -recently i hav been facing the problem of the phone hanging too much and restarting many times. -now my phone is in the service center because, this phone was manufactured with a different software version and the above issues are due to the software mismatch, so the software needs to be updated. i would strictly say NO to anyone planning on buying this phone,there are much better basic phones available. 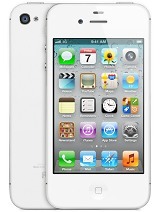 the basic functionalities in this phone are always a prob, so save ur money for something else better. never ever buy this phone.it always shows "out of memory" & it has no battery backup.The 1st week after i bought this phone It had complaint with the motherboard.